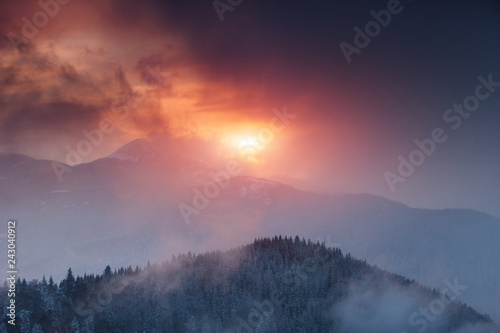 > Fototapeta>Tematy>Góry>Dramatic winter landscape in mountains at sunset. Fantastic wintry scene.View of colorful sky glowing by sunlight. National Park Carpathian. Ukraine. Europe.